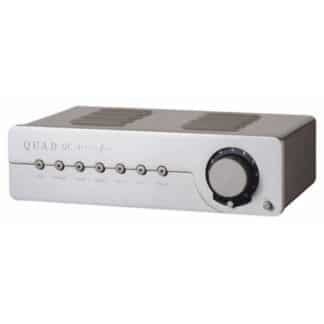 For years our original VEGA has been a favorite among discriminating listeners. Now, the all-new VEGA G2 keeps the sonic spirit of its predecessor alive by pushing the boundaries of digital music. 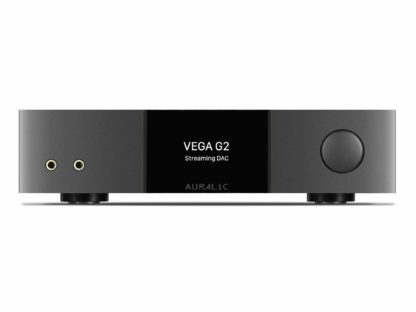 The VEGA G2 is a high-performance Digital Audio Processor with a completely revamped architecture that excels at the conversion and streaming of high-resolution digital music formats up to DSD512. 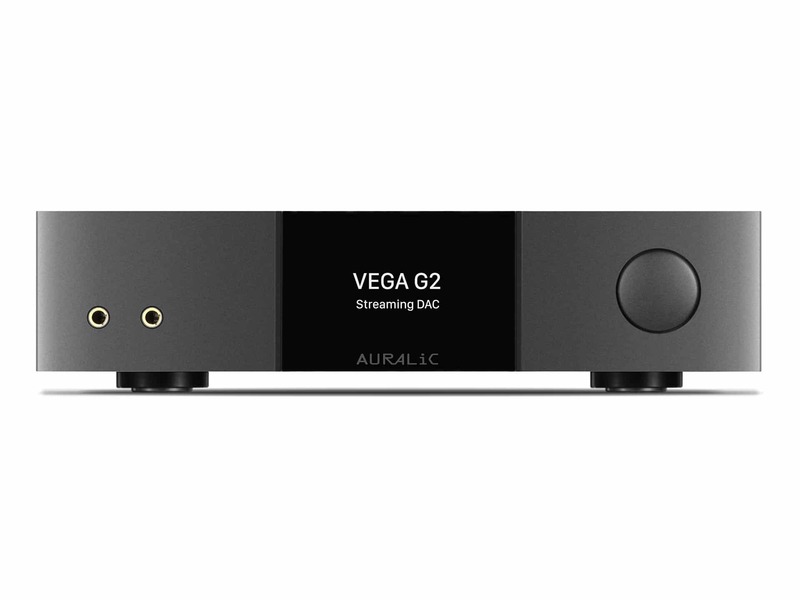 The industry’s first signal-independent “Master DAC,” the VEGA G2 is redefining the sound of digital. Years of research and development have gone into the creation of the G2 line and the all-new VEGA G2, resulting in engineering innovations that set a new standard for sound quality. With a completely new internal architecture focused on advanced isolation techniques and a new approach to clocking, the VEGA G2 is breaking new ground in the world of premium digital processing. Advanced galvanic isolators and always-in-control, hyper-accurate Dual 72 Femto clocks contribute to the extraordinary clarity and precision of the VEGA G2. 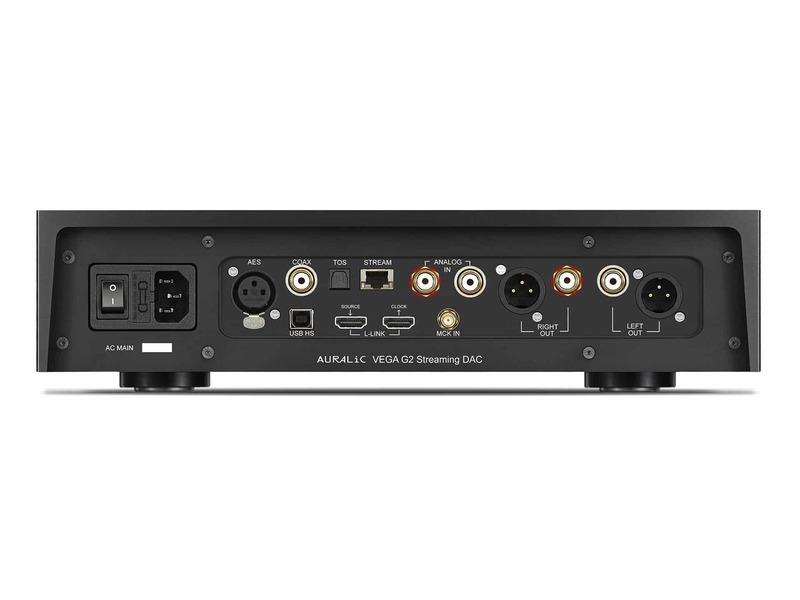 The completely redesigned architecture of the VEGA G2 allows it to accomplish something amazing: it is the first DAC ever that operates independently of the source signal’s frequency. Designed specifically for the premium lineup of AURALiC G Series devices, the Unity Chassis is machined from a single billet of aluminum that provides the VEGA G2 with superior shielding from EMI noise, so nothing interferes with the quality of your music. VEGA G2 internal circuits are physically distributed to enhance overall balance. And with specially designed foot spikes that dampen and absorb vibrations, the VEGA G2 is always rock-steady, for ultra-smooth signal delivery. 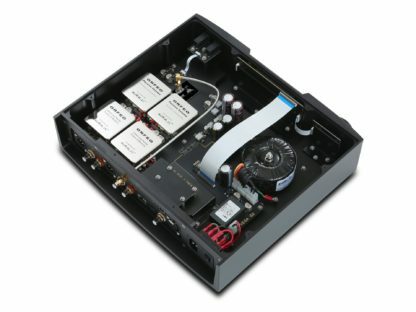 The VEGA G2 introduces sophisticated galvanic isolation and Unity Chassis techniques that drastically reduce the potential for electro-magnetic interference, for an extraordinarily pure, clean sound. And the VEGA G2 is a full 20% quieter than the original VEGA DAC. 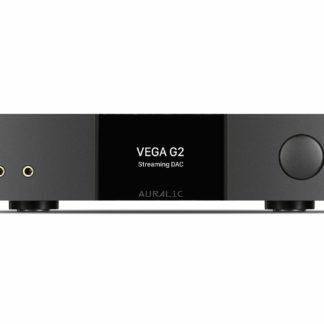 There wasn’t a DAC chip on the market that could satisfy our requirements for sonic performance with the all-new VEGA G2. That’s why we used a modified Sabre DAC chip scheme, optimized for audio signal processing of resolutions up to DSD512. It’s just one more way we made sure everything inside the VEGA G2 lives up the premium standard of the entire G2 line. Precise control, distortion free, noise free. The only way to get all three is to painstakingly construct a R-2R resistor ladder network — and that’s exactly what we’ve done for the VEGA G2. Eight coil-latch relays remain entirely passive when not in use, drawing no power and producing exactly zero EMI noise. Once set, the VEGA G2’s volume control system remains electronically invisible — one more detail that helps the VEGA G2 push the boundaries of sonic performance. Turn Your Wi-Fi into a Music Streaming Ecosystem. We developed Lightning OS to be the highest-quality streaming environment you’ve ever heard. 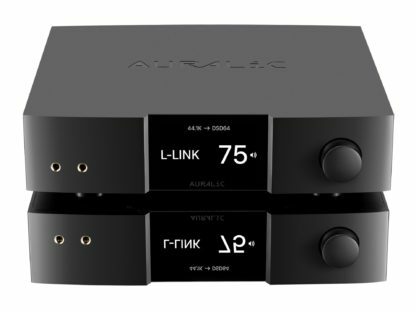 A meticulously-crafted software architecture designed specifically to work hand-in-hand with the powerful Tesla hardware platform found in AURALiC streaming products, Lightning OS is full of cutting-edge innovations that bring your music to life like never before. Connect to all your of high-resolution sources, take control with user apps like Lightning DS or Roon, and meet true audiophile streaming. Our Tesla G1 hardware platform is the processing engine that gives the VEGA G2 the power and flexibility it needs to meet the demands of modern high-resolution streaming. Designed around a high-performance Quad-Core Cortex-A9 processor running at 1GHz, Tesla G1 sports 1GB DDR3 RAM and 4GB of storage. Automatic updates keep the Tesla G1 platform outfitted with the latest features and support, so your device is always ready for peak performance and up-to-the-minute functionality. A 4.0-inch true color in-plane switching high-resolution display provides complete operational feedback: input channel, volume, sampling rate, playback status, and configuration settings. Connect every source you’ve got to the VEGA G2 using its full array of ports. 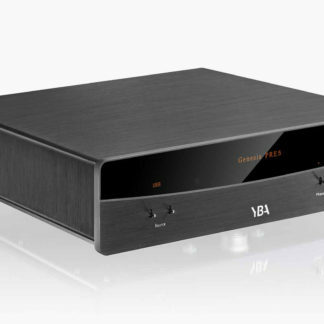 Traditional AES/ EBU, Digital Coaxial, and TOSLINK ports are all galvanically isolated for enhanced performance. Access network resources like UPnP/DLNA media servers, shared network folders, high-resolution Internet Services and Internet Radio via Ethernet. Built around cutting-edge transfer protocols, more powerful processing, and enhanced isolation engineering, G2 is a new concept in component integration. Four specialized components, working together to deliver a premium sound experience. Jitter-free to maximize sonic performance, Lightning Link provides single-point control of the entire G2 audio system. With a dedicated, low-noise 3uV power supply to minimize phase noise and keep it as quiet as it is accurate, our 72 Femto Master Clock is amazingly precise for less jitter, and immaculate sound. Its 72 femtosecond cycles — that’s 72 quadrillionths of a second — set a new standard for signal timing. Temperature-regulated for consistent performance, this clock is always there to keep things rock-steady. One of the VEGA G2’s high-speed galvanic isolators lies between the Tesla processing platform and its highly sensitive DAC circuitry. Data can flow across the isolator, even while it physically separates and shields the DAC from interference. 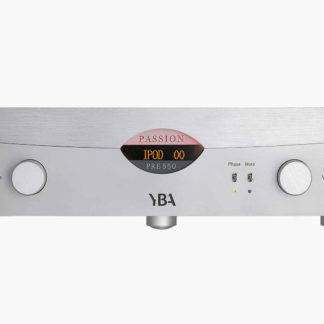 The result is a whopping 80% reduction in noise levels compared to the original VEGA DAC. Flexible Filter Mode gives you a nuanced level of control over your audio output. Its various modes were developed using a combination of objective data models and subjective testing, with each mode offering a unique array of filters to match the sonic quality of the source. Whether it’s modes to tweak in-band ripple, out-band attenuation, ultrasonic filtering and more, you’ve always got the power to dial in the performance you want. Inspired by classic analog circuit designs, ORFEO is capable of driving an array of loads to match the characteristics of a variety of amplifiers. 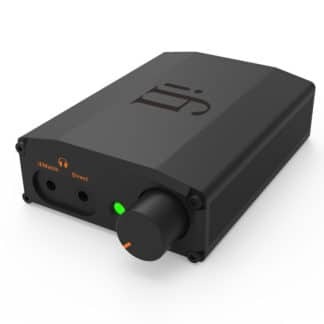 Using small signal components with excellent linear qualities, thermally balanced and biased into Class-A, ORFEO has the power to drive loads of up to 600ohms while keeping noise low — open loop distortion comes in at less than 0.001%. The Purer-Power linear power supply reduces DC current noise by as much as 90dB with its power purification module. Using a specially designed transformer and unique wiring that minimizes vibration, noise from Purer-Power is kept below 1uV across the audible spectrum, leaving you to discover the details in your music, down to the last bit.